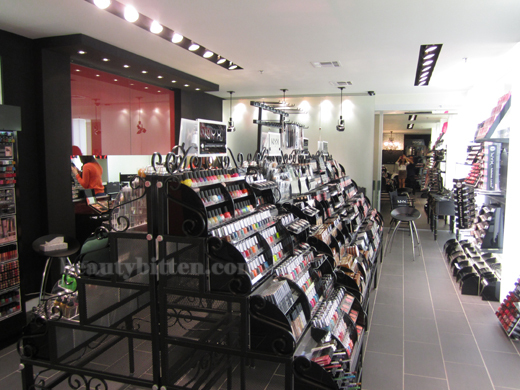 I cannot believe how amazing NYX Cosmetics' showroom is (sorry guys, but this isn't a store). I really wanted to live there. I wasn't sure where to look at first and I was just so distracted the whole time. 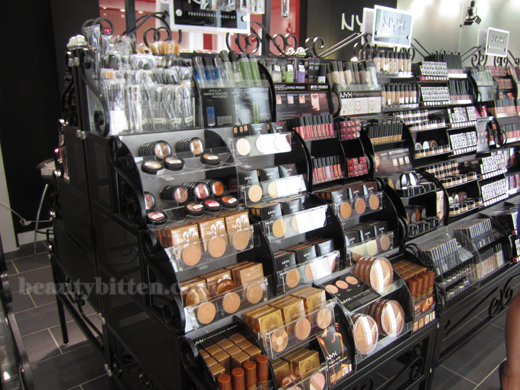 I've never seen so much NYX makeup in one spot. They have every possible item you can imagine. It was just... WOW. These pictures really doesn't do any justice. It's one of those things that you have to be there! 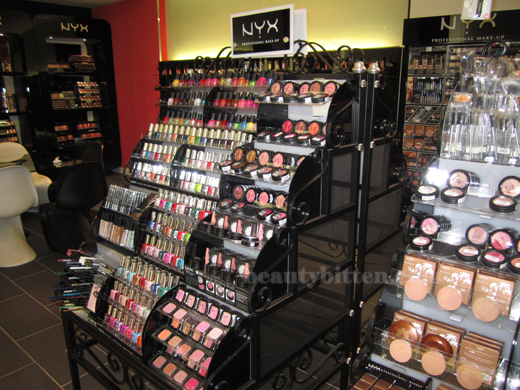 As I had mentioned earlier, I went to NYX Cosmetics' headquarters for an interview. So glad that my lovely boyfriend and Holly came with me. I really loved every minute I had spent there. Holly and I went on a swatching craze while we were there. I'm glad that my boyfriend was supportive and was a good sport for spending half his day there :D. I was pretty nervous in the beginning of the interview, but I eased up half-way through it since the NYX team was just so friendly and sweet. I wish I thought about taking behind the scenes pictures, but like I said, I was a little too distracted with the makeup around me. With Evegail, NYX's PR. Pardon the flashing heh. 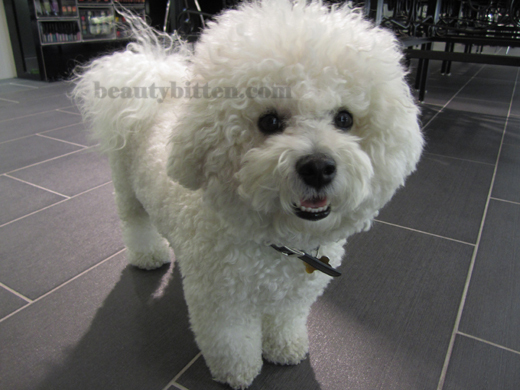 The official NYX Cosmetics mascot, Sir Bruce. So adorable! Thank you to the NYX team for welcoming us to your headquarters and for sending us off with a goody bag! It was such a pleasure and an honor to be there! It was an interview for a job, or you interviewed them? I'm wondering if you got a chance to ask them about the Fail Sale catastrophe, in which so many formerly loyal customers got screwed over. OMGeeee! 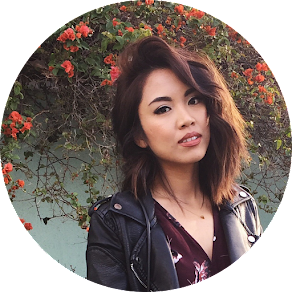 I heart NYX cosmetics... I would go H.A.M. amidst all that makeup!! !